We are thrilled to welcome back Rabbi David Horowitz, who was our theme speaker at OMDSI 2005. He will speak to us this summer on “The Journey of Change,” a most appropriate topic for us to contemplate as we make our new space at Oberlin into our community home. Rabbi David M. Horowitz (Tulane University B.A., Hebrew Union College, M.A., D.D.) is returning to Summer Institute. He was our theme speaker in 2005, and is currently the rabbi emeritus of Temple Israel in Akron, Ohio. Ordained in 1969, he has been the spiritual leader of congregations in Indianapolis and Hammond, Indiana, Queensland, Australia, and Akron, Ohio where he is currently Rabbi Emeritus of Temple Israel. He has taught philosophy and theology at Calumet College, Hammond, Indiana, and courses in the Ethnic Studies department of Kent State University, Kent, Ohio. 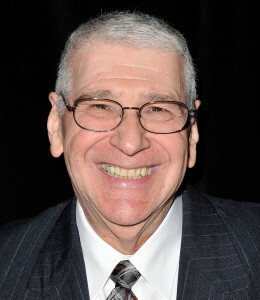 Rabbi Horowitz serves as the national president of PFLAG, Parents, Families and Friends of Lesbians and Gays. He is also a past president of PFLAG Akron, Ohio.